Is “Kalaignar Karunanidhi health condition serious or is he dead”? I am really frustrated and feeling bad because of the new that he is dead….. so i thought of writing this article and expressing my irritation. Kalaignar Karunanidhi health condition serious or is he dead? Note: As of toady 30/07/2018 7.30 AM news Kalaingar Karunanidhi health condition is getting improved and getting stable. Let me get to the point that really hurts me. For past few days I have been reading and following news about one of the leader Kalaingar Karunanidhi health condition. I sincerely wish him to get well soon and serve the duty. But few things really surprised me in social media. More than Kalaingar Karunanidhi health condition, it was about the news that was spread in social media. By seeing all these dead news and “RIP” added to timeline, It’s very painful to see such rumours. I started to think what is the real concern of people who are posting it. First, are they his followers or supporters who are really concerned about him? or are they close family members who know the exact news? or are they news media? or Common people? or just some cheap inhuman, publicity seeker and a crook? I don’t think so. They are waiting out side Kauvery Hospital in this July rain and cold, praying for his speed recovery and waiting for good news from the leaders. They are inside hospital and doing the same as followers. They are doing their job as needed and informing the world of real happening in the hospital. Poor people they don’t have time for this. They are working hard to keep their day today life going. 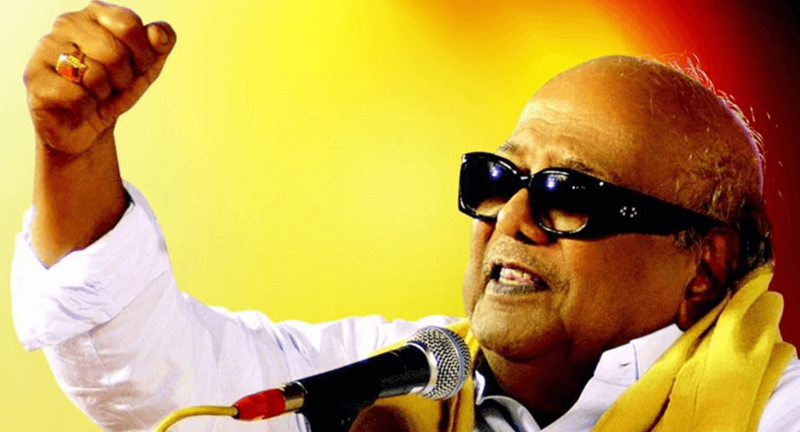 Is “Kalaingar Karunanidhi dead”? Do you know what are you doing? You are hurting lot of followers and common people for your cheap excitement. Creating unwanted fear in common mans day today life. Don’t do this. Meantime, just think how it would be if someone say’s all your family members and their liker’s that your father or mother is dead when they are alive ( May god give them long life and good health). Or say, some cheap information like this in social media will spoil your month end target or say your family members who are travelling will get a fear of going out. Won’t that be a pain for you. Please be little human and be responsible. Please, I beg you not to create such fake news and post RIP for a living human begin. Finally, I did not mean to hurt the right one, but i clearly mean to hurt the wrong ones…….